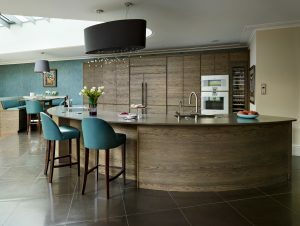 Curved kitchens are particularly well suited to open plan or broken plan living spaces as their soft appearance evoke a relaxed atmosphere and an uninterrupted flow which helps to blend the different ‘zones’. 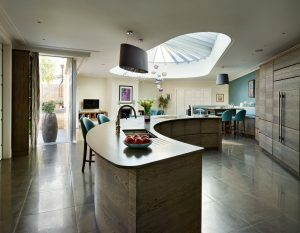 Equally smaller sized kitchens or awkward angles lend themselves to curves for the ideal answer. 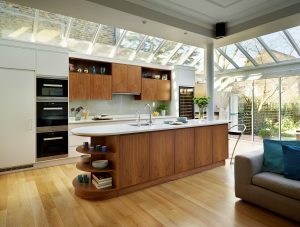 Islands that embrace the curve appeal can bring a real wow factor to your kitchen. 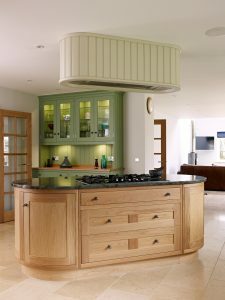 Be it a dramatic and expansive arc or simply a rectangular central island unit with rounded edges on both or either side, introducing subtle curves adds personality and elegance. 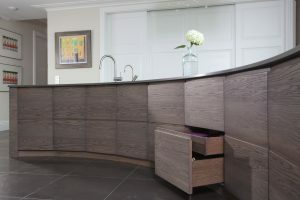 Where ever you decide to introduce these sweeping lines, the result will undoubtedly be a kitchen of individuality, distinctive and envy of all.